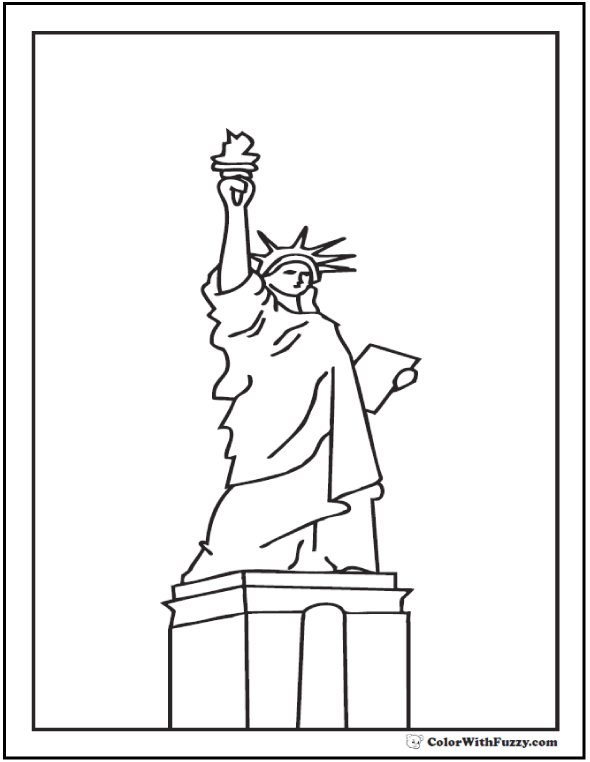 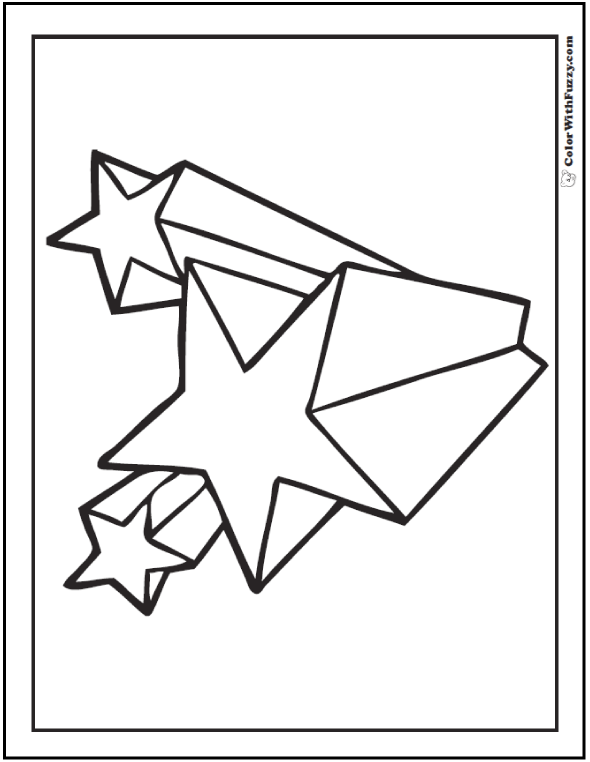 Dozens of patriotic Fourth Of July coloring pages for kids! 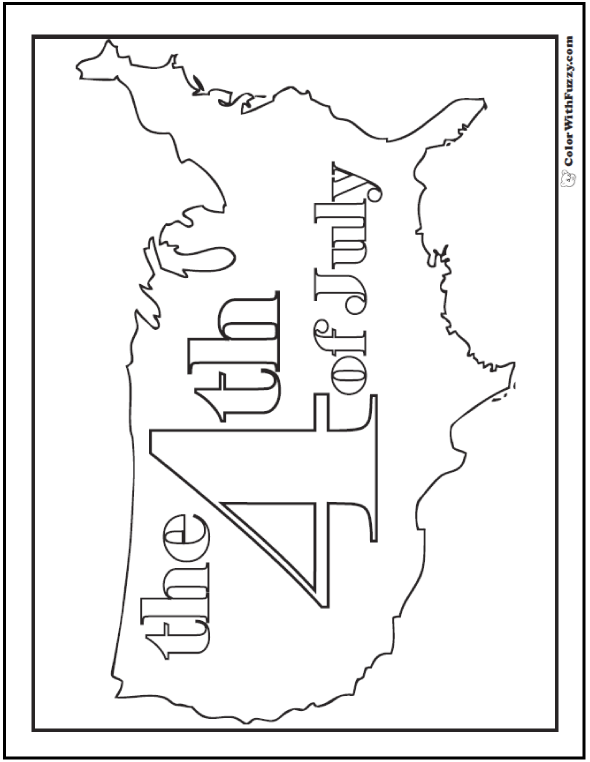 Get patriotic with my Fourth Of July coloring pages! 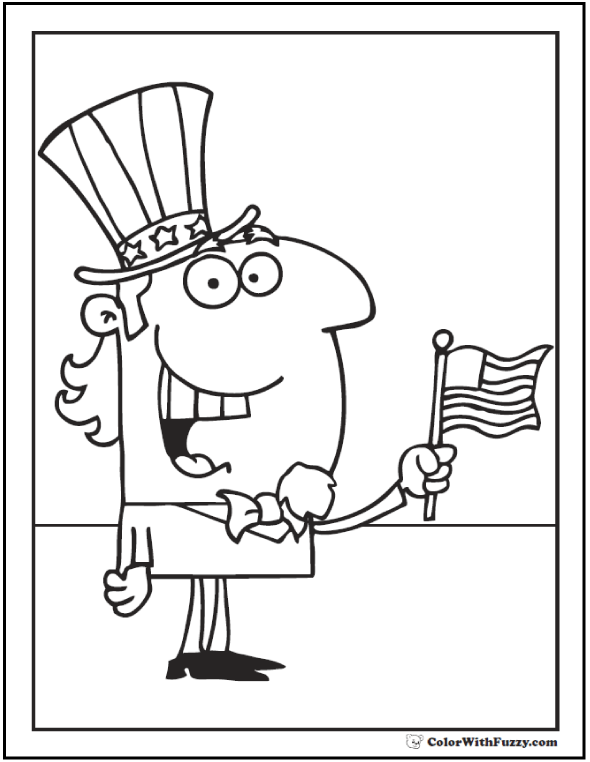 I have Uncle Sam, US flags, Statue of Liberty, Independence Hall, eagles, fireworks, and US maps. 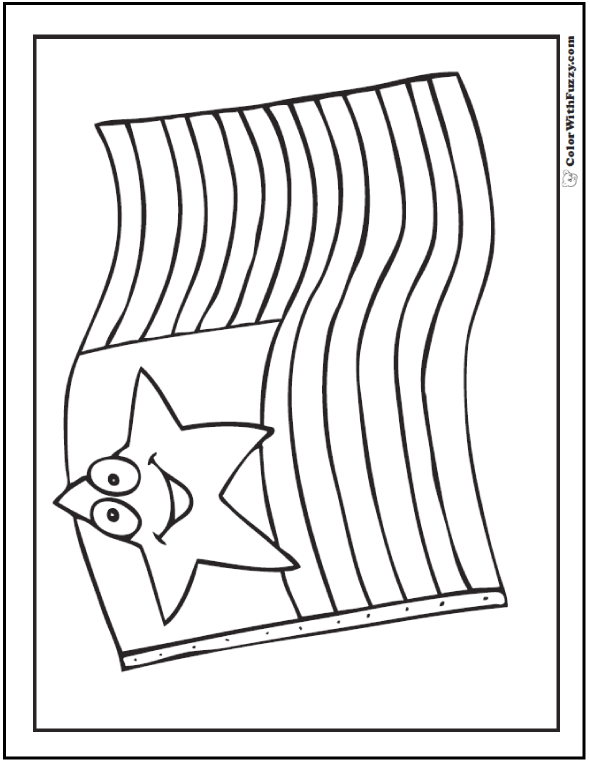 There are plenty of stars and stripes here. 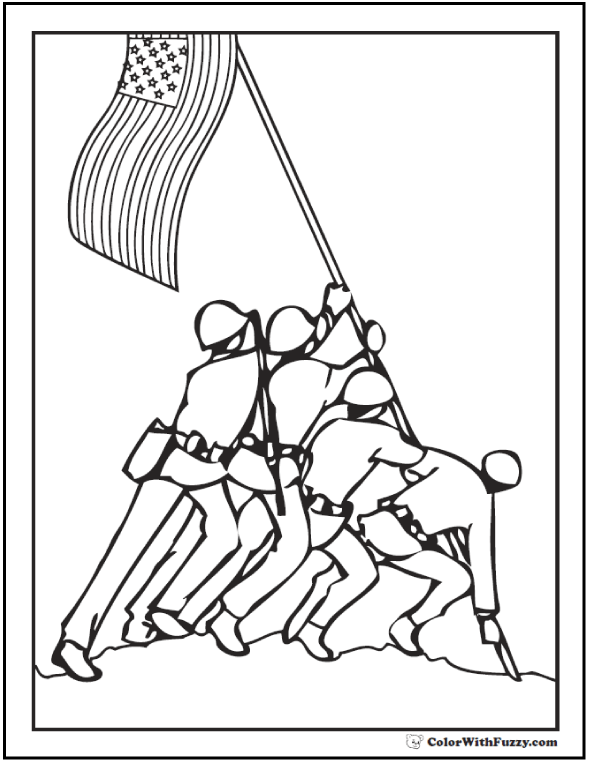 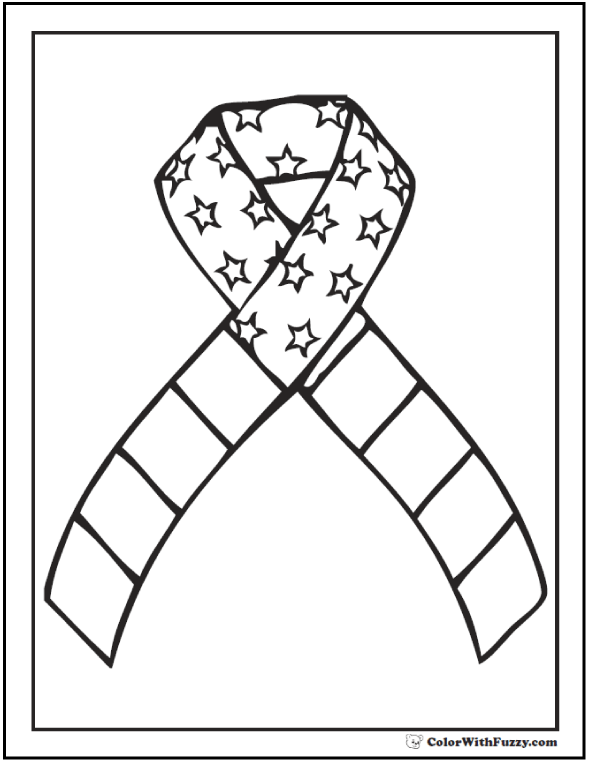 Preschoolers and kindergarteners love these patriotic coloring pages on other patriotic holidays as Memorial Day worksheets and Labor Day worksheets, too. 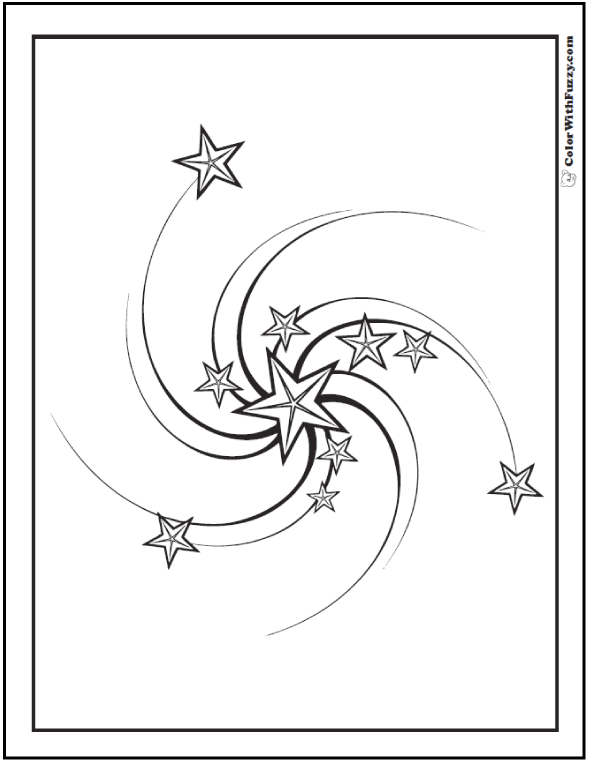 Brighten patriotic holidays like the July 4 with coloring pages of children, sparklers, flags, and firecrackers throughout the year. 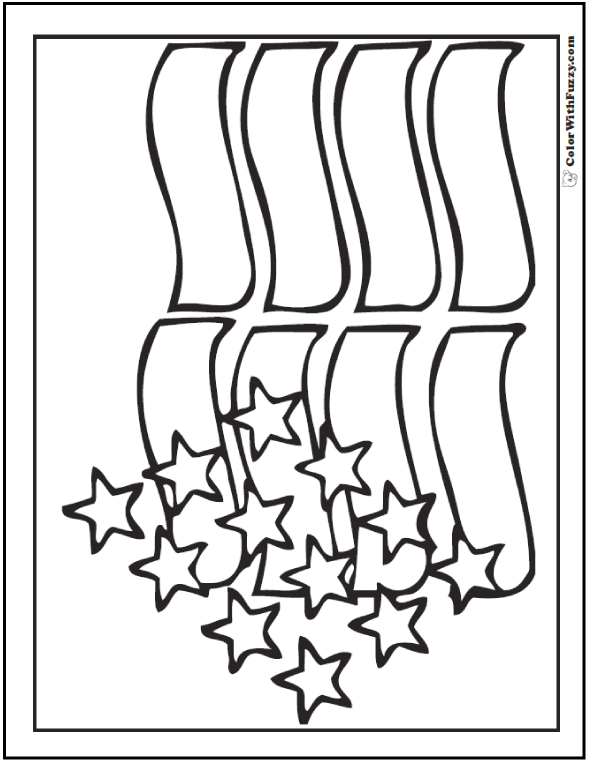 There are many ways to build the excitement for a parade or fireworks. 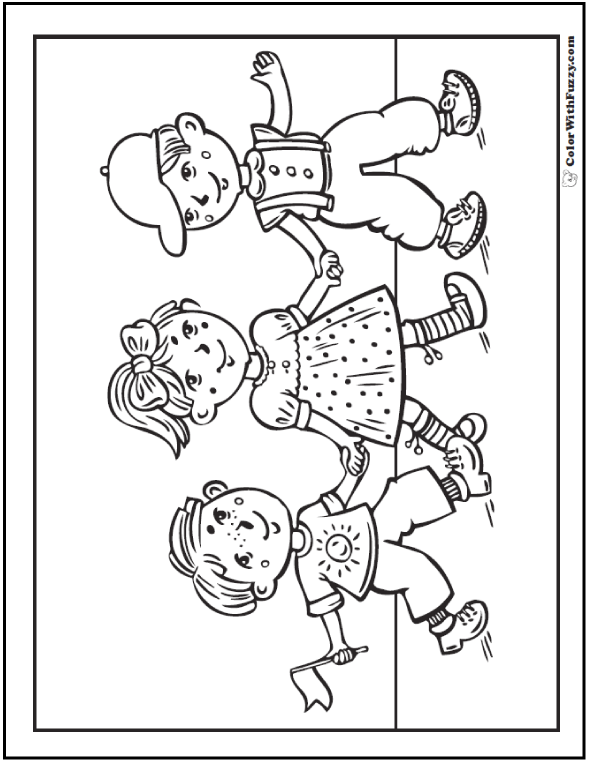 Coloring pictures is one of them. 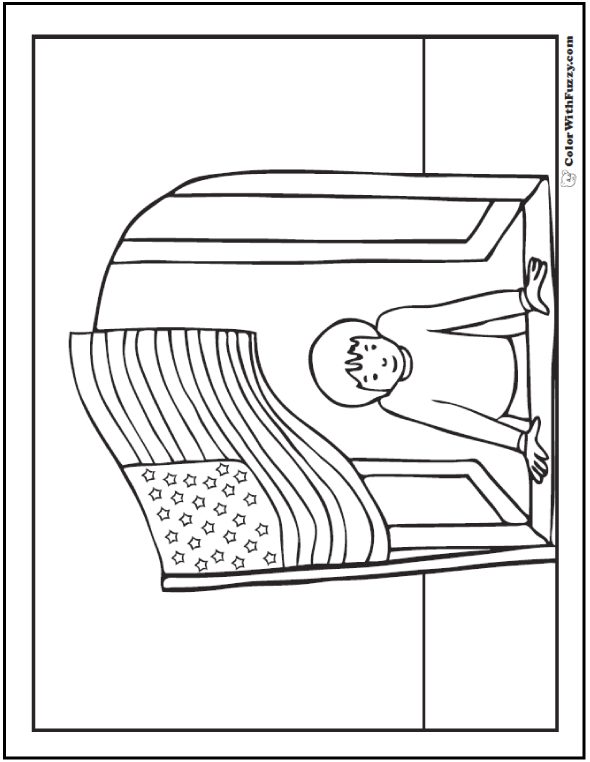 Kids love to recognize what matches their own artwork! 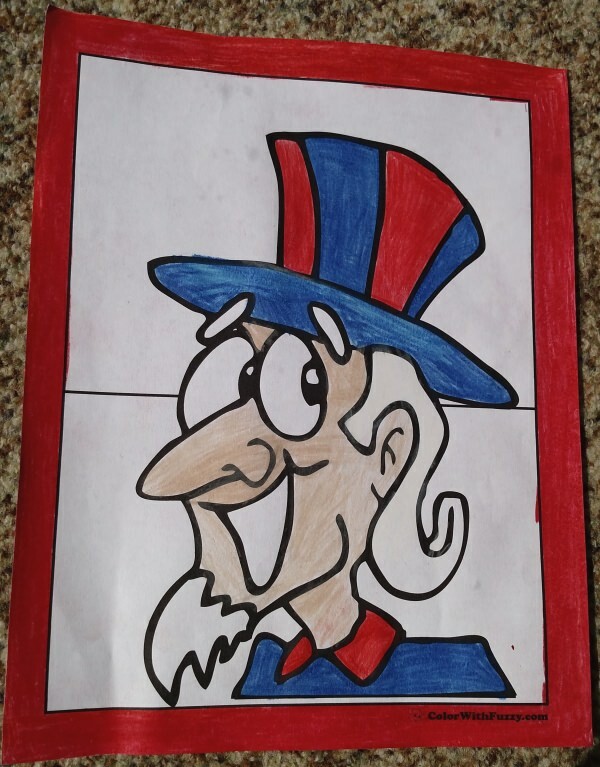 Has the patriotic holiday passed? 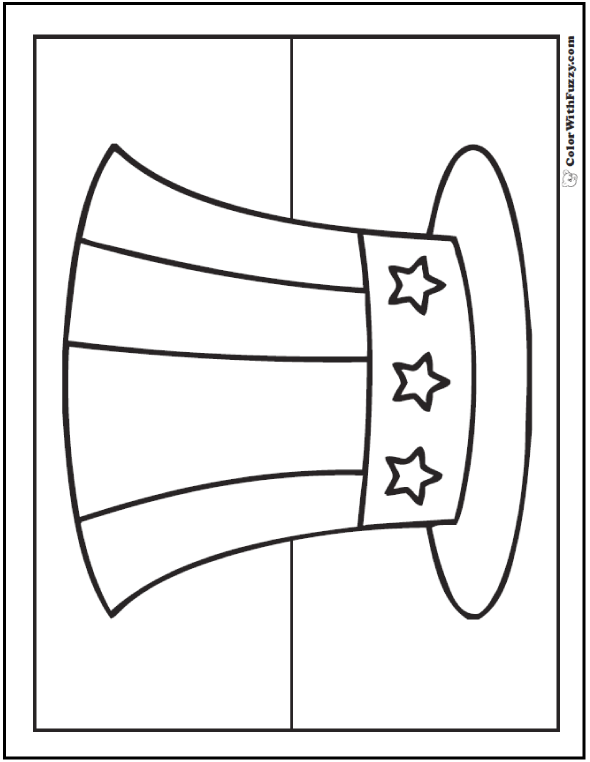 Preschoolers like to color July 4th themes that match what they have already seen at the parade on or picnic on the Fourth. 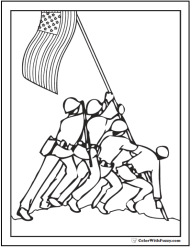 These are great for other patriotic holidays, too, like Memorial Day and Veterans Day. 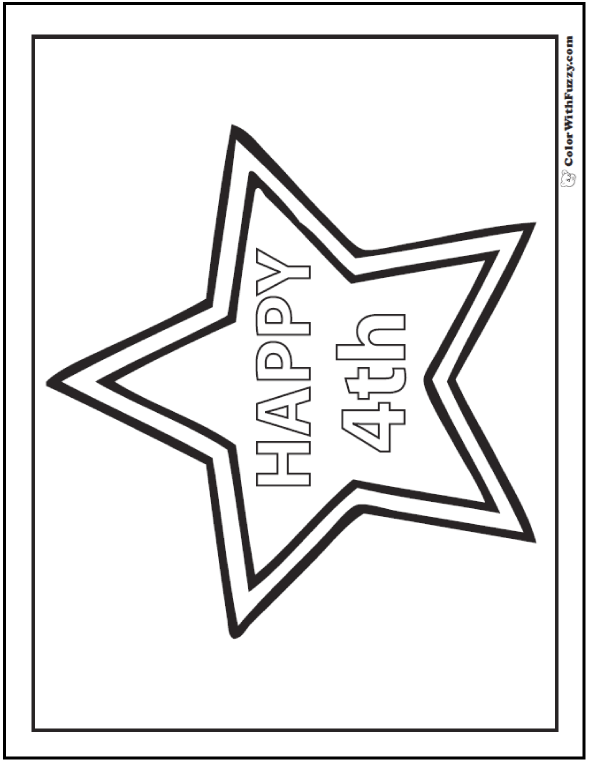 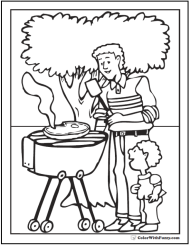 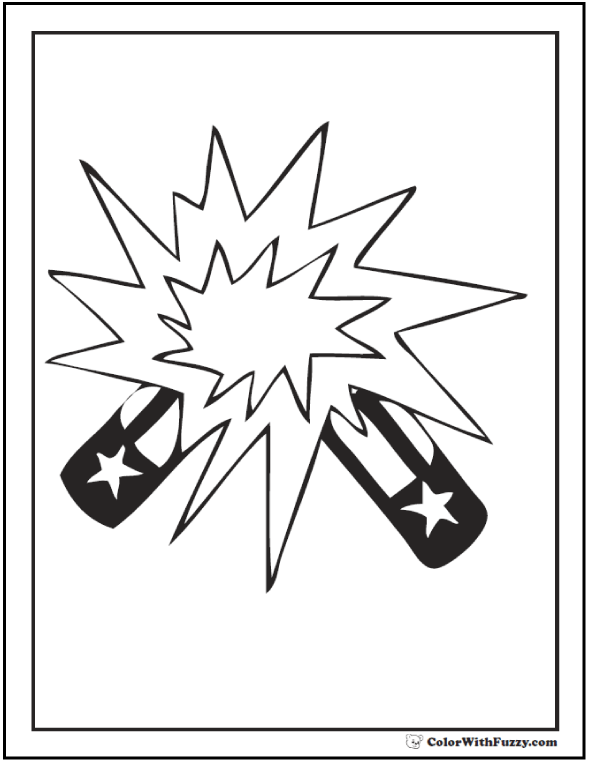 Our Fourth of July coloring pages make fun additions to summer birthday parties. 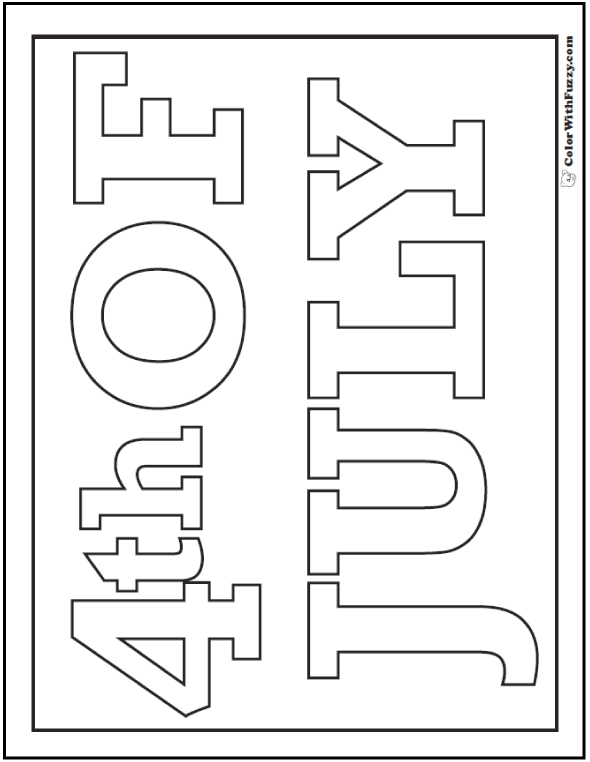 Also The Fourth is the anniversary of the Declaration of Independence in the United States, July 4, 1776 so children can learn that this is an important day without having to learn much history. 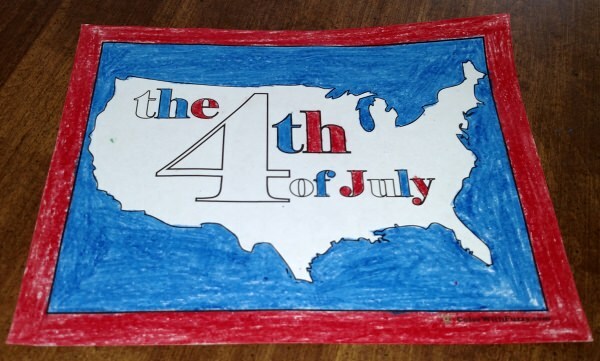 They'll realize the importance of the Fourth by the celebration, picnics, parades, and firework displays. 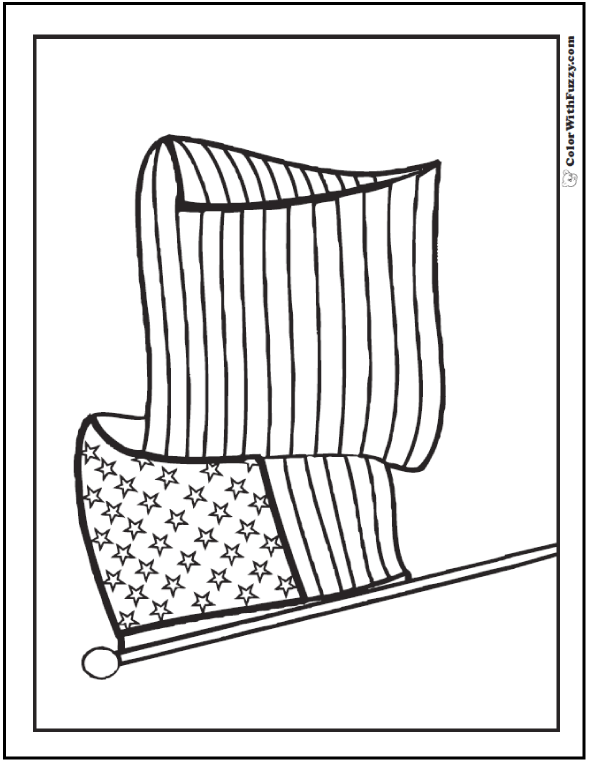 I think that it is important to teach the children that the colors in the American flag are red, white, and blue. 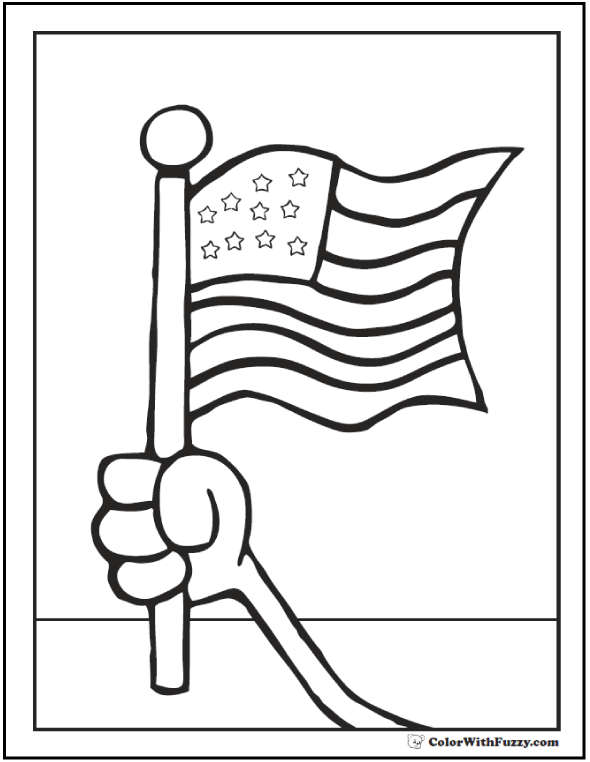 The first stripe is red as is the last stripe (2015). 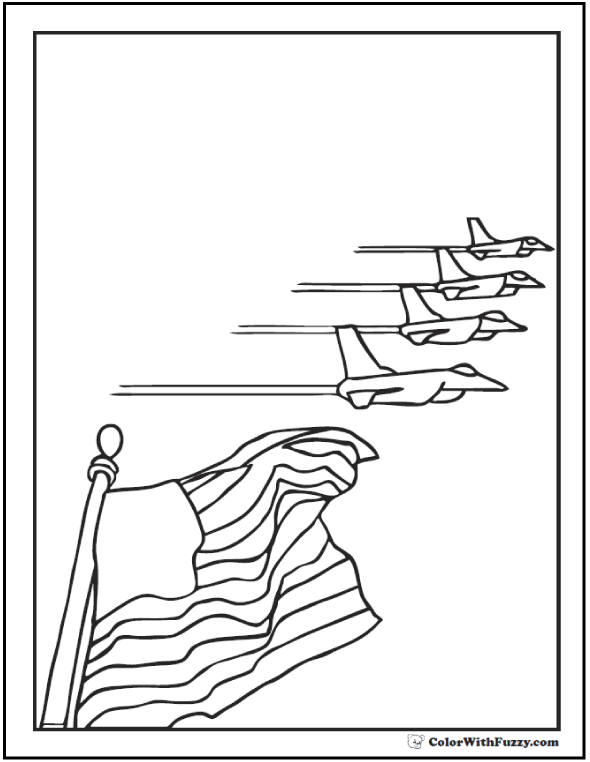 Knowing this makes the colors fit well. 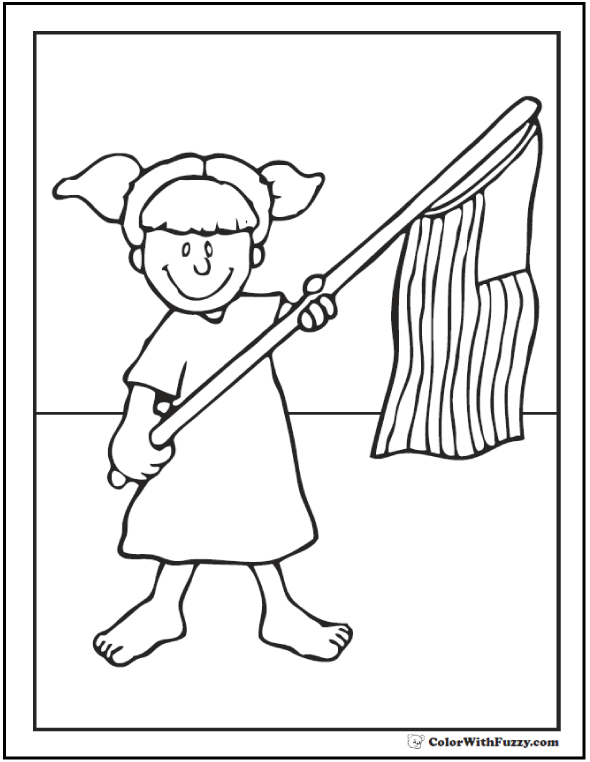 Since there are an odd number of stripes, 13, once the first stripe is red and every other stripe is white, the last stripe will also be red. 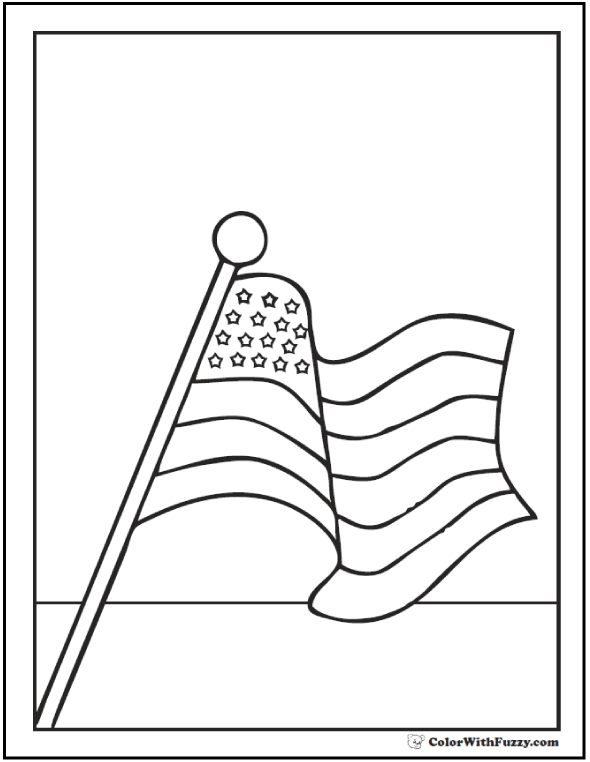 The stars and other stripes are white and the field behind the stars in the top left corner is dark blue. 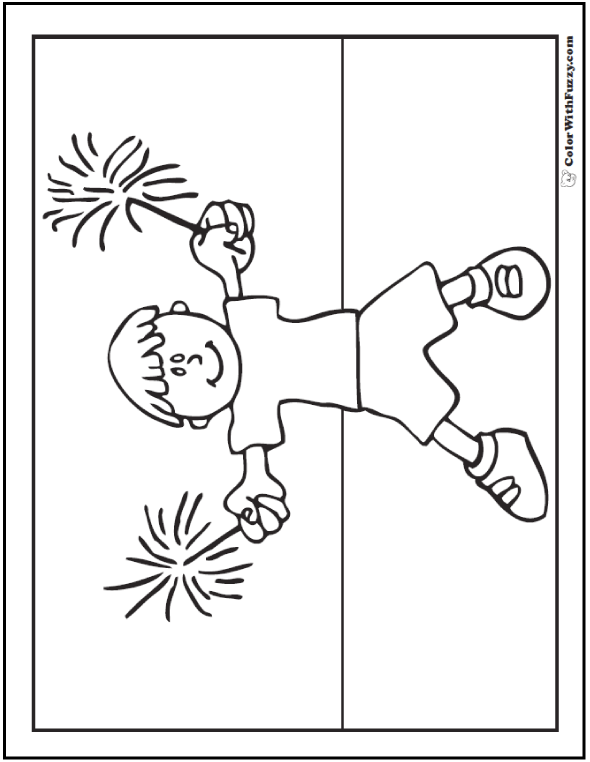 Teach the children that fireworks use bright colors like yellow, orange, light blue, pink, purple, green, red and white. 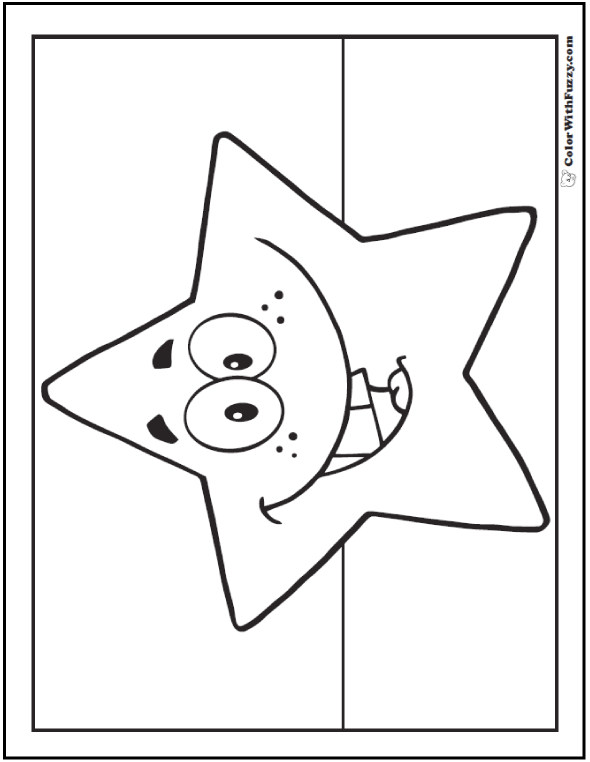 Sometimes the trick is to show that the light colors should be colored before any dark skies are colored. 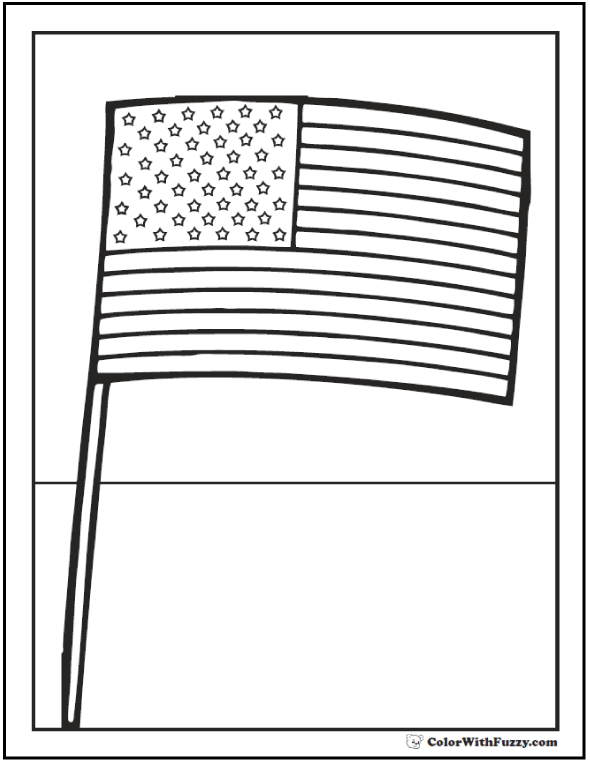 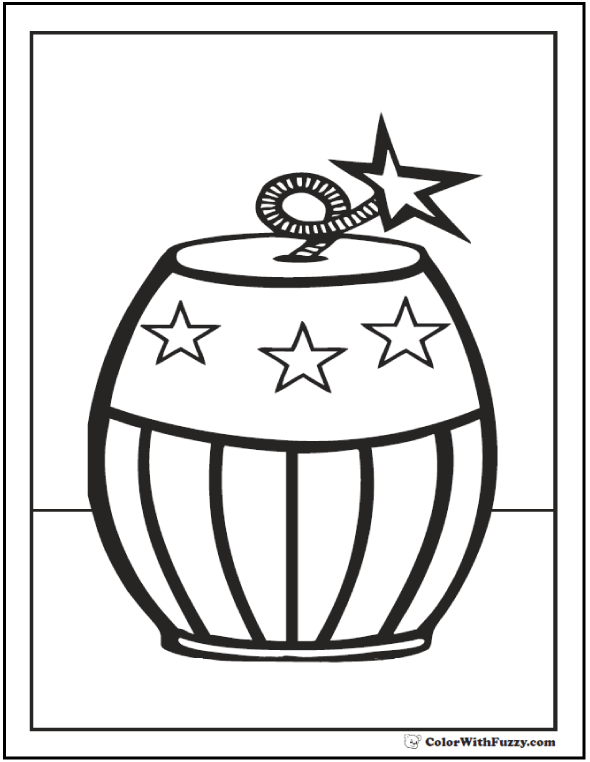 I have coloring pages that include children with July 4th sparklers, patriotic hats, flags and drums. 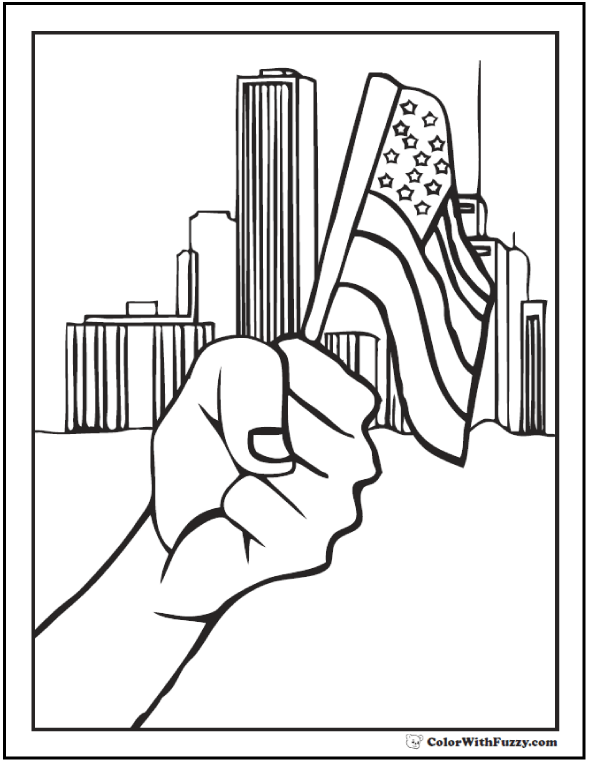 We also have a nifty skyline with fireworks to celebrate the birthday of our country. 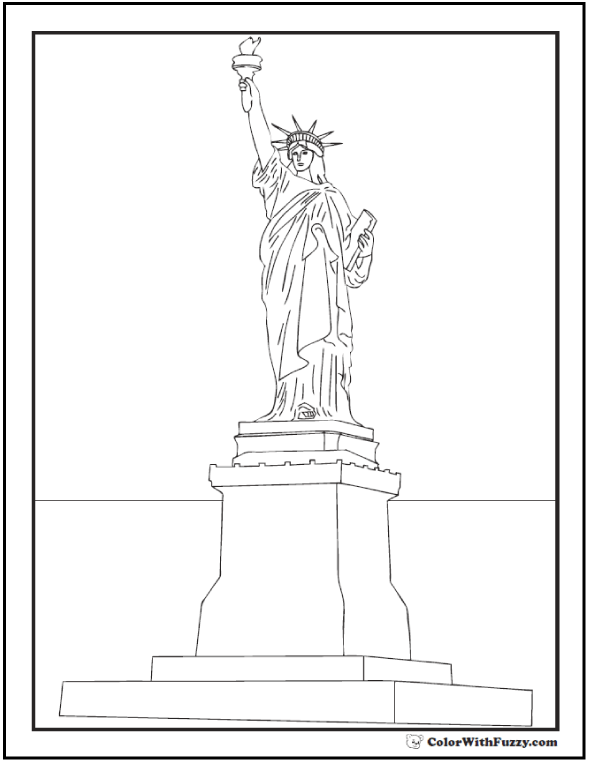 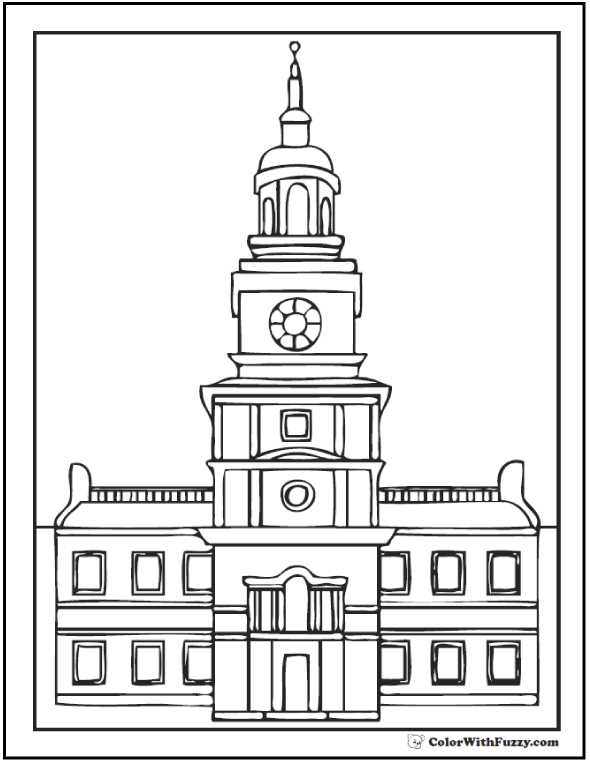 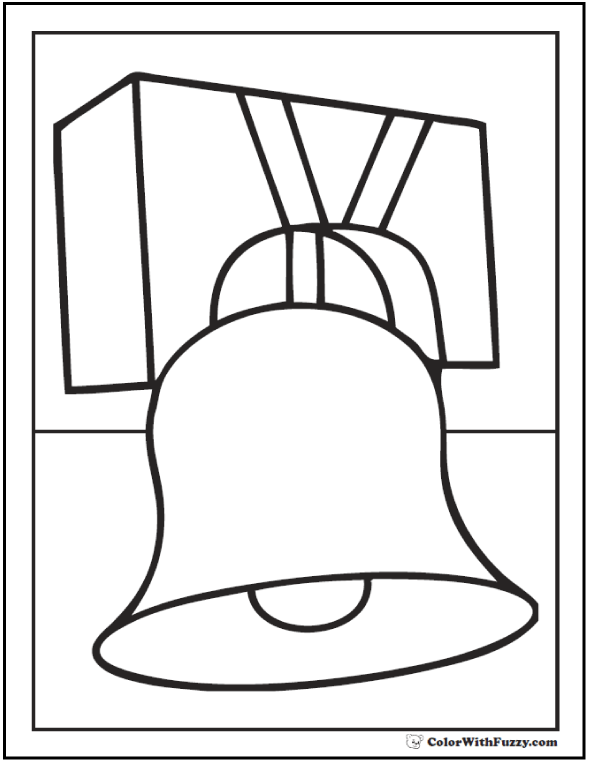 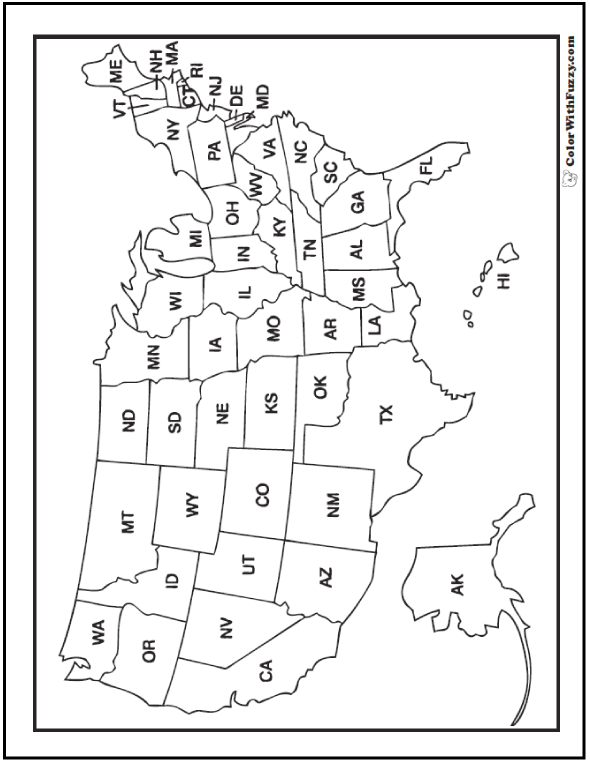 You can create your own coloring booklet for learning about history or geography whenever you need to add a little historical fun. 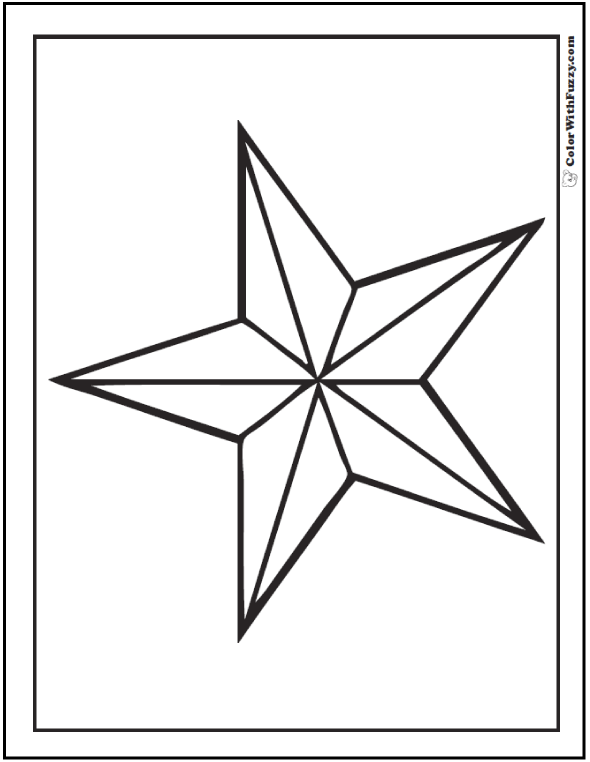 Moms, Dads, and teachers love our coloring pages too. 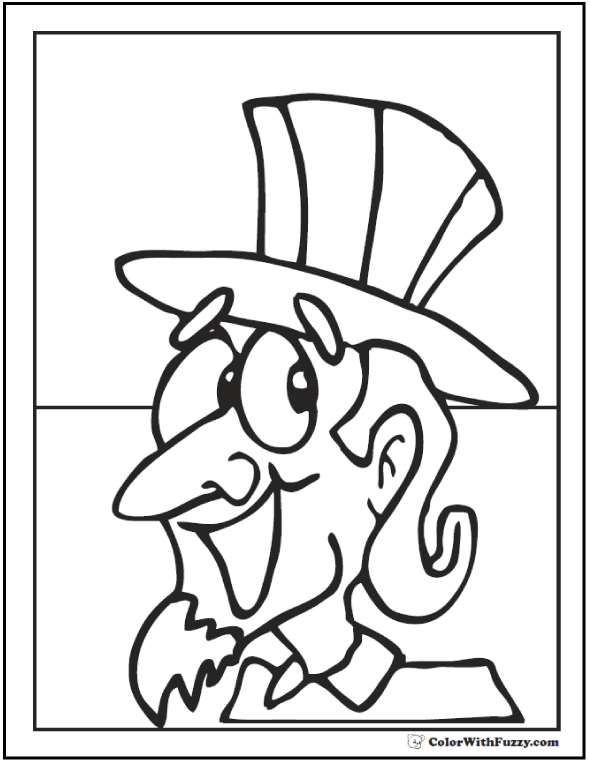 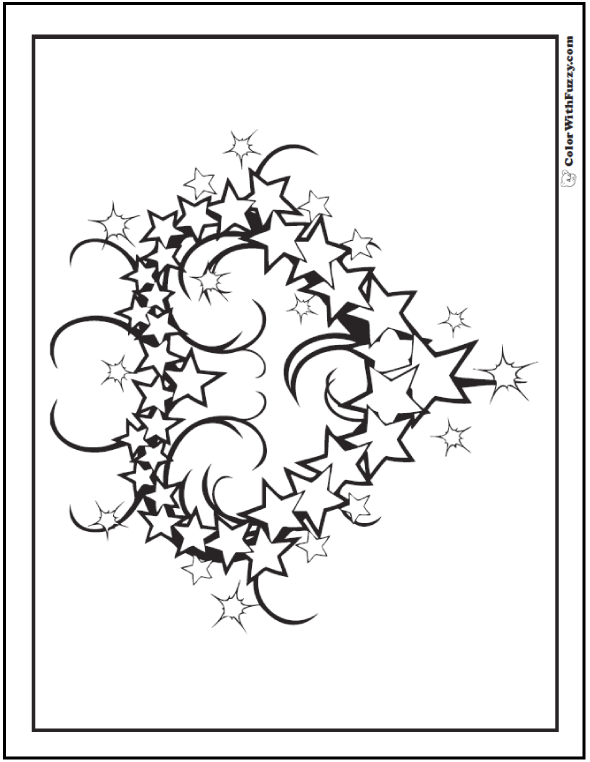 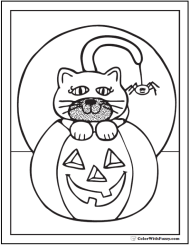 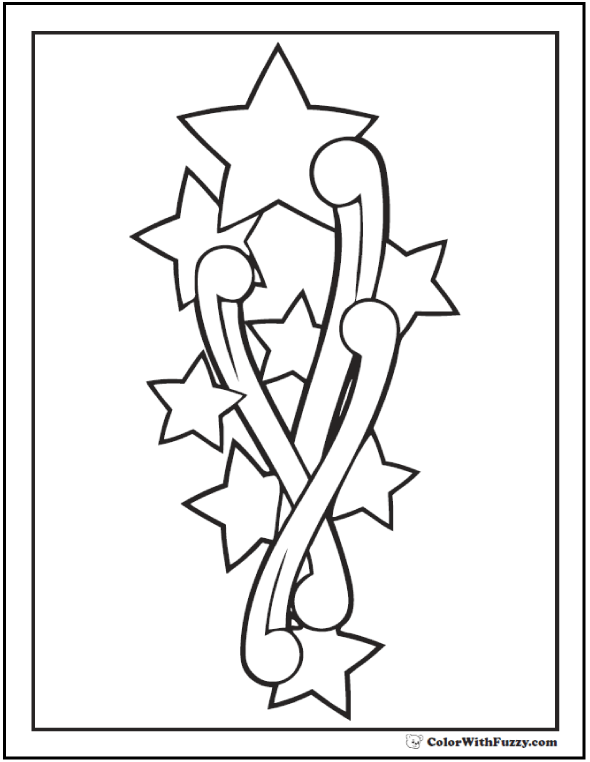 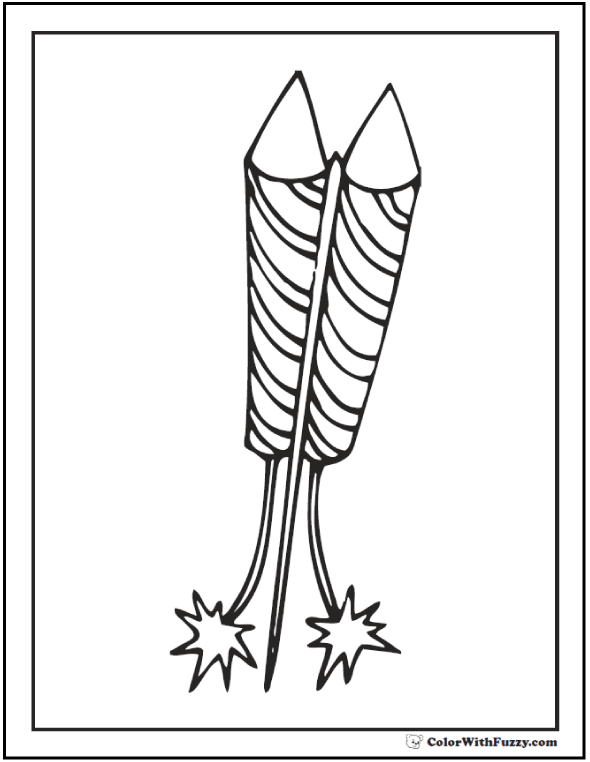 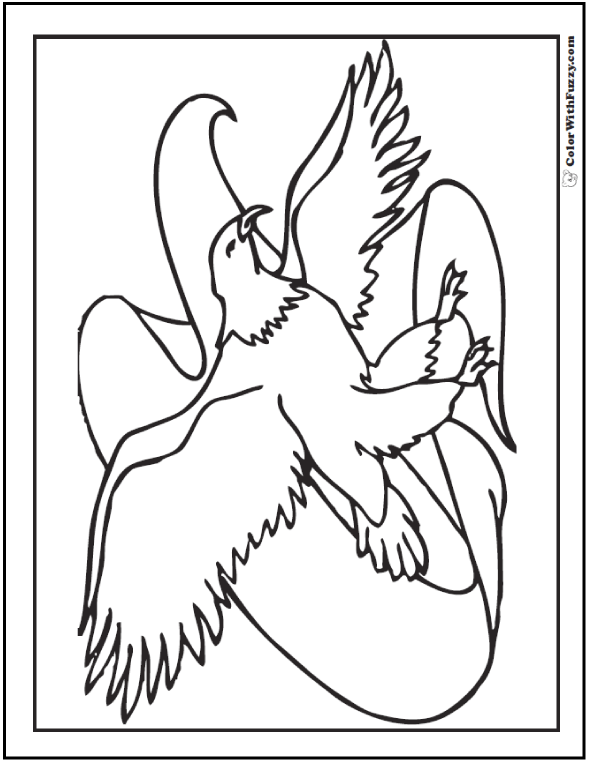 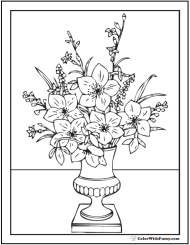 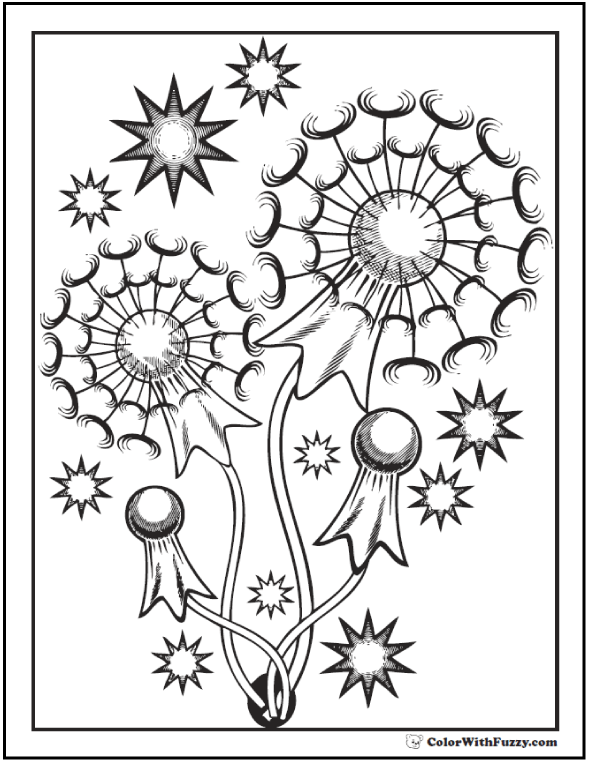 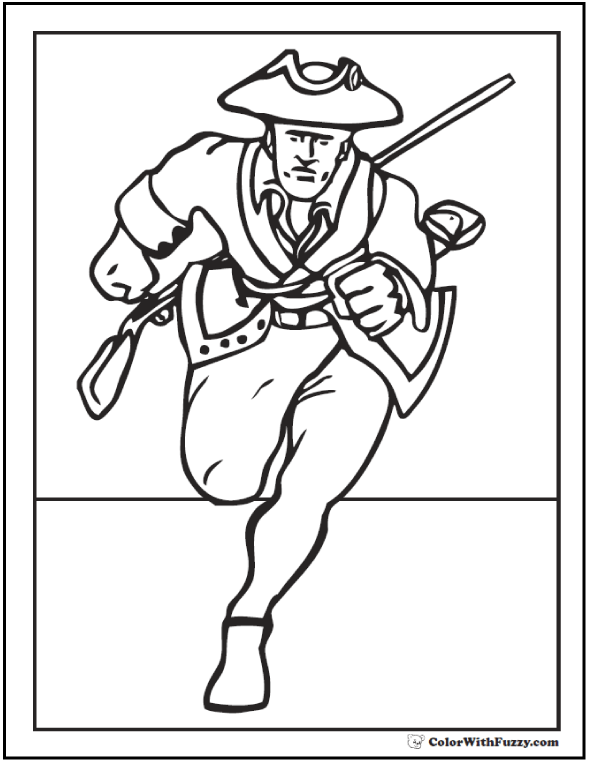 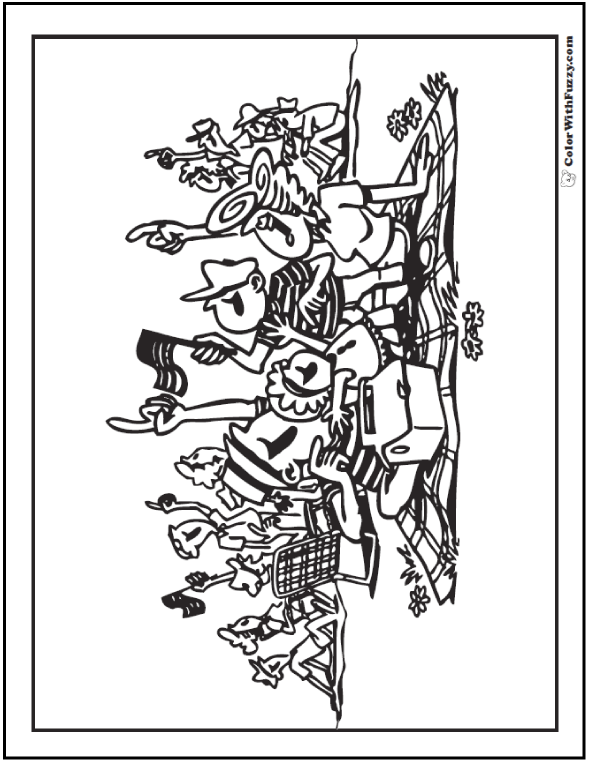 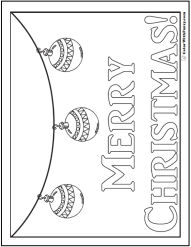 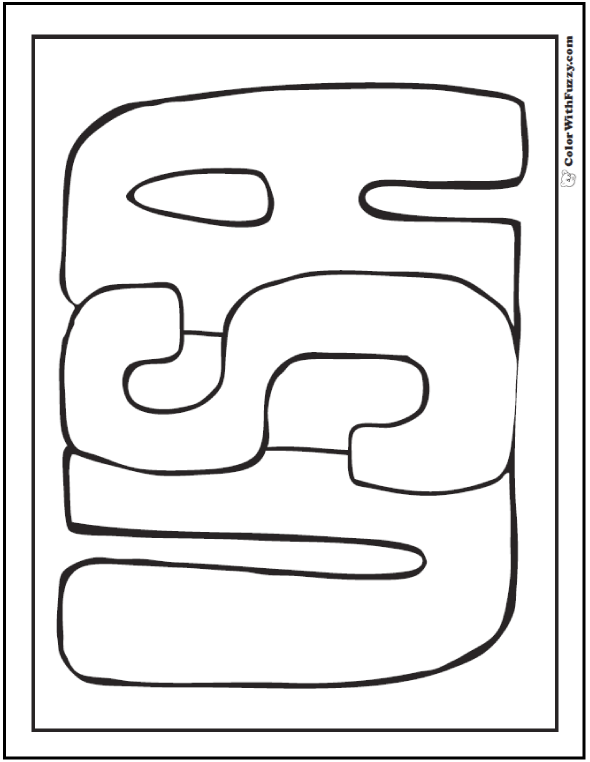 Adults can use these printable coloring pages as banners and posters, especially since they can write on the pictures. 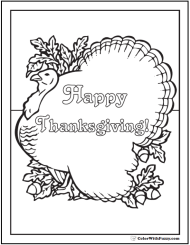 Nursing homes love to have coloring pages for adults. 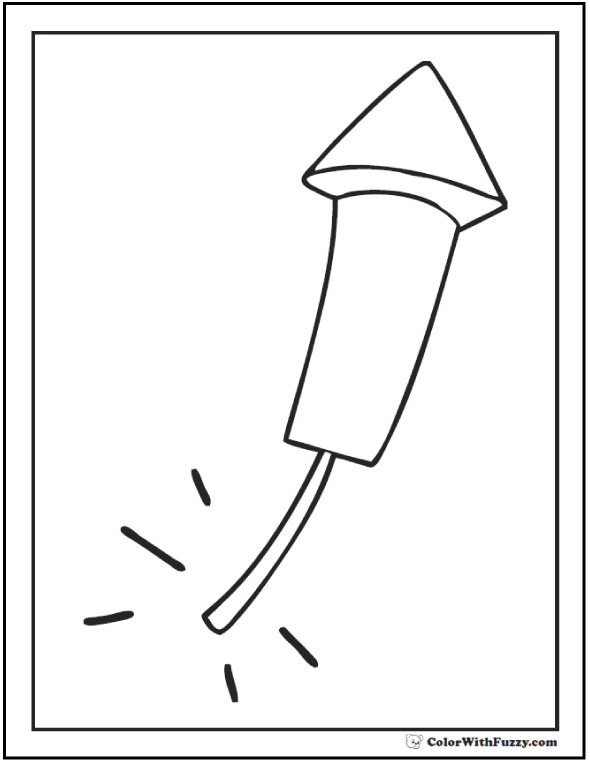 You can share them there for an interesting afternoon. 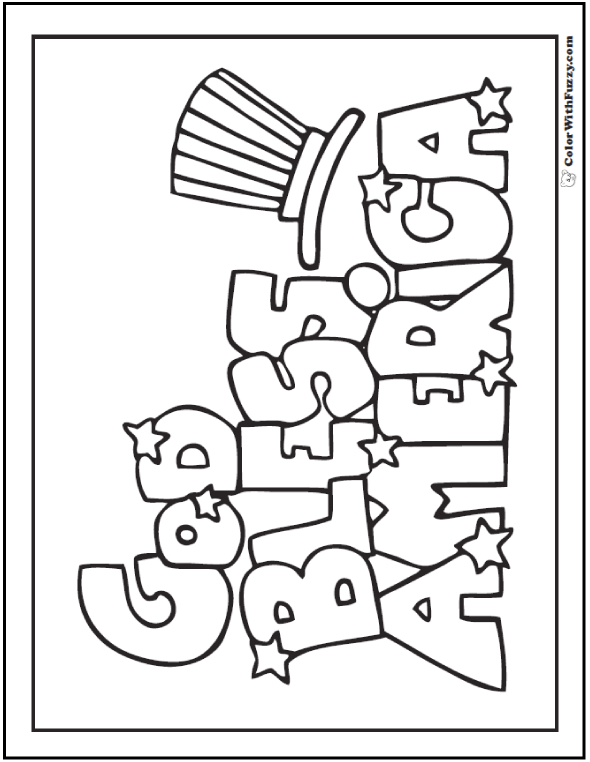 May God bless the USA and thank you for coloring with Fuzzy! 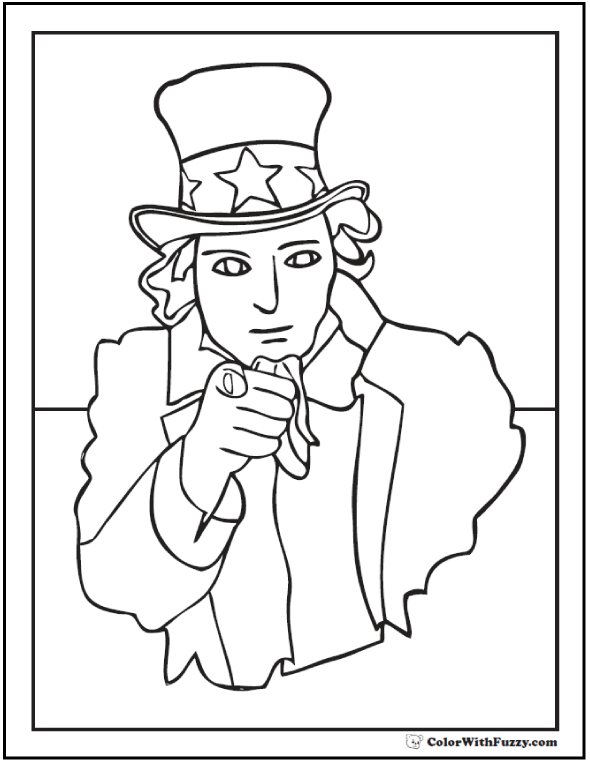 Thank you for sharing my coloring pages for the Fourth Of July!